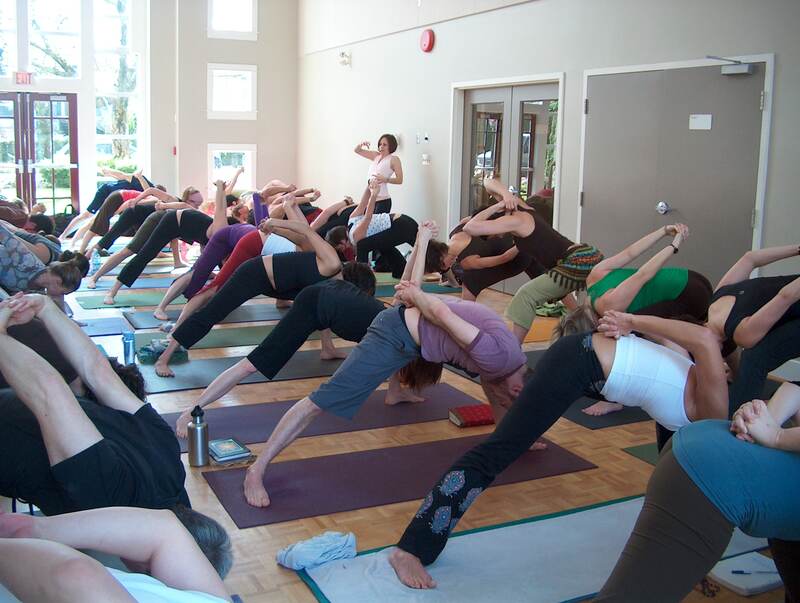 We spent every morning practicing Ashtanga Yoga. Ashtanga? I know many of my yogi friends are confused about why I would chose to practice Ashtanga but really I never stopped practicing it. 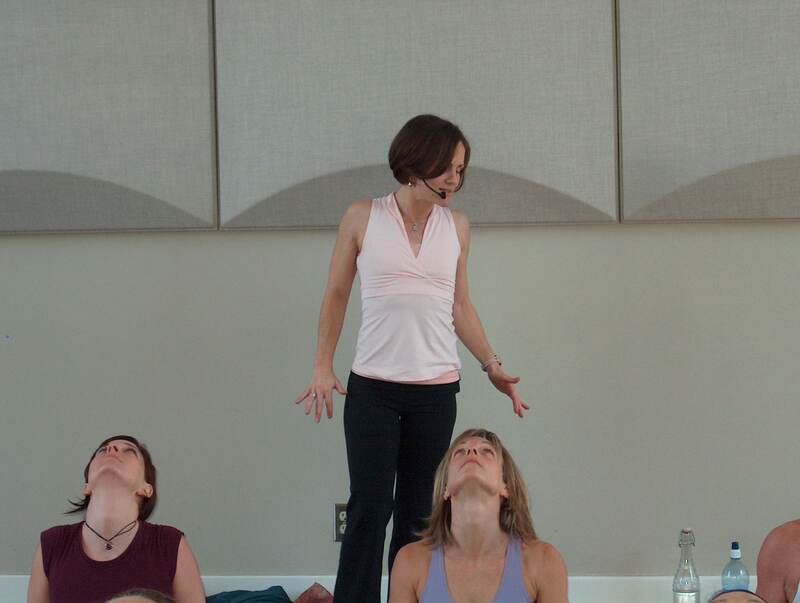 Every Sunday I still do primary and Ashtanga was my first introduction to the practice of yoga and for that I am grateful. 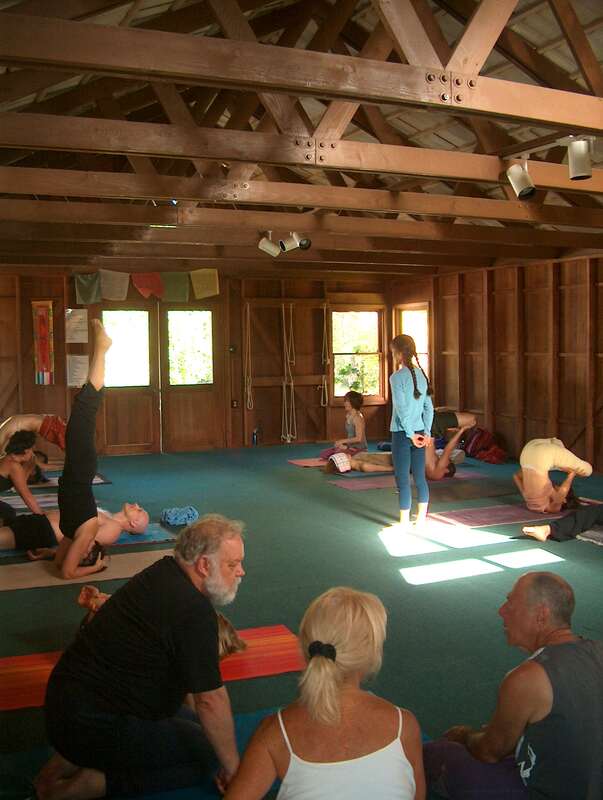 After practice one morning, a practitioner beside me mentioned there was kirtan at Maui Studio with Ram Dass. I knew a little bit about Ram Dass having read about him on the internet and having encountered other teachers that had spoken of him. Basically he is an American spiritual teacher who is more infamous for his experiments with pyschedelic drugs at Harvard University than his spiritual teachings. I stole most of the following bio from Wikipedia. In 1967, Dr. Richard Alpert ( as he was known then) travelled to India, where he met the American spiritual seeker Bhagavan Das. As he guided him barefoot from temple to temple, Bhagavan Das began teaching Alpert basic mantras and asanas, as well as how to work with a mala. After a few months Bhagavan Das led Alpert to his guru, Neem Karoli Baba, or as he is better known in the West, Maharaj-ji. Maharaj-ji soon became Alpert’s guru and gave him the name “Ram Dass”, which means “servant of God”. 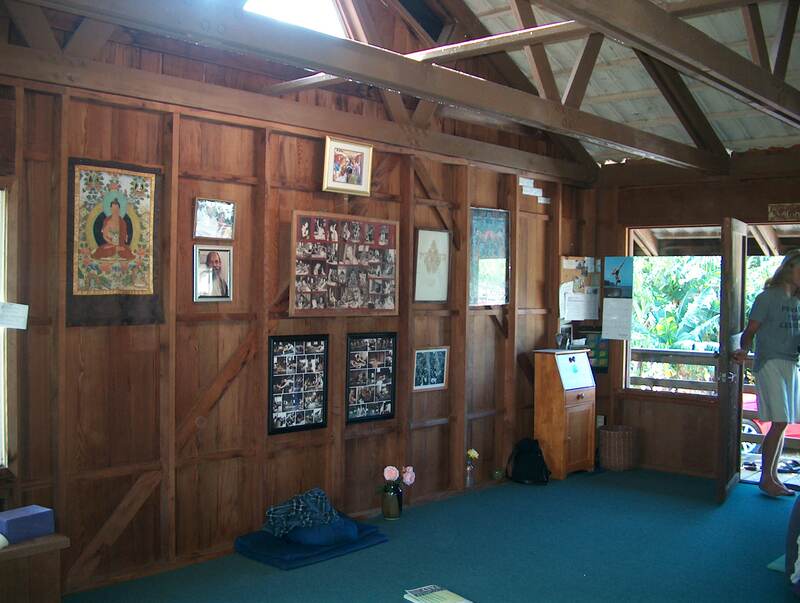 Under the guidance of Maharaj-ji, Ram Dass was instructed to receive teaching from Hari Baba Dass, who taught in silence using only a chalkboard. Among other things, Hari Dass Baba trained Ram Dass in raja yoga and amhisa- non violence. It was these life-changing experiences in India that inspired Ram Dass to write the contemporary spiritual classic, Be Here Now, in which he teaches the harmony of all people and religions. He moved to Maui sometime in the 1990’s and has been a fixture there ever since. I wasn’t sure what to expect at kirtan- which is usually devotional chanting- but what we actually came across was a satsang- a lecture by the spiritual teacher. With his stroke he speaks very slowly and deliberately and at first it seemed slow and frustrating but then it became easier- like the slow delivery made each word more significant. Ram Dass chose that night to speak of being a servant to God- a servant like Hanuman- the devoted servant of Rama. He basically retold the Ramayana in a way that those of us modern day yogis could understand. The basic story line is that Sita, a princess, is kidnapped by a serpent like prince of Lanka , Ravana. Rama is a virtuous prince, and Sita’s husband and he searches all of India for her- with the help of all the animals and especially Lord Hanuman. It was insightful and humorous. One of the things that I had never heard before was that in some versions Hanuman is actually Shiva manifested- Shiva felt sorry for Rama and chose to come to help him- but in the process of becoming the monkey he forgot that he really was the powerful Shiva. This is an interesting metaphor. We are born with incredible possibility and no knowledge. When Hanuman jumped or flew to Sri Lanka to find Sita he was full of fear. It was too far and too dangerous- it was impossible. He did not know the power that was within him- if he remembered he was Shiva he could have easily done it- but he did not know that. 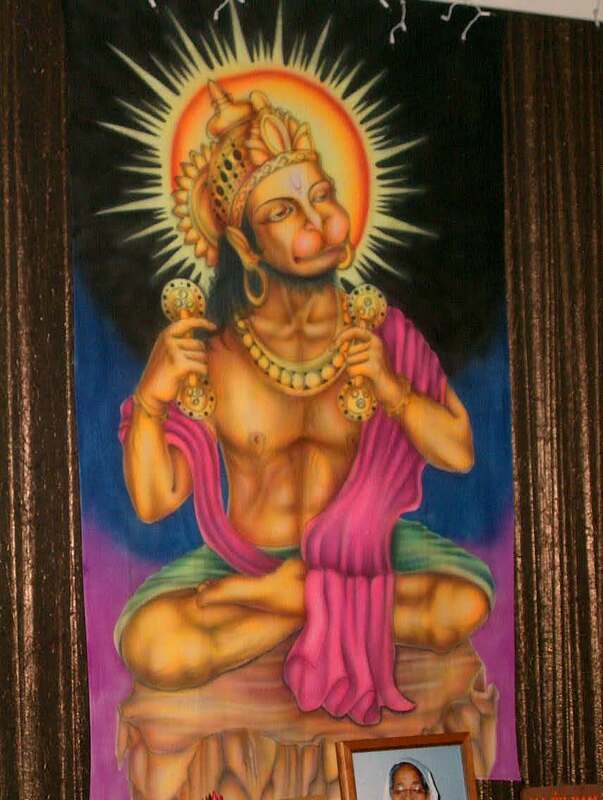 He was a simple monkey who was deeply devoted to his master Rama. It was his devotion and love of Rama that gave him the courage to believe he could jump- and so he did. Hanuman found Sita and eventually Rama and Sita were reunited. Love and devotion- this is the story of Hanuman. He said a few other profound things which I tucked away in my mind, but one thing he mentioned I missed. My husband could not recall the quote either. It bothered me for days after as I felt it was somehow significant and now I would never get the chance to ask him again. I thought I would have to put it out to other teachers and see if they maybe knew the answer- but of course it would be speculation as only Ram Dass could again tell me the exact quote. A few days later we had dinner with the owners of the cottage who we have become friends with. They said a neighbour was coming over to join us. The lovely woman that joined us was bright and articulate and she went on to say she had left a successful career and life on the Mainland to be with her spiritual teacher. My brain leapt back to satsang and I realized she was there. We started to chat excitedly and I went on to ask if she knew the answer to my question about Ram Dass’ satsang. She said “No- but I am his personal assistant. Write it down and I will give it to him. I will call you tomorrow with the answer.” And so she did. 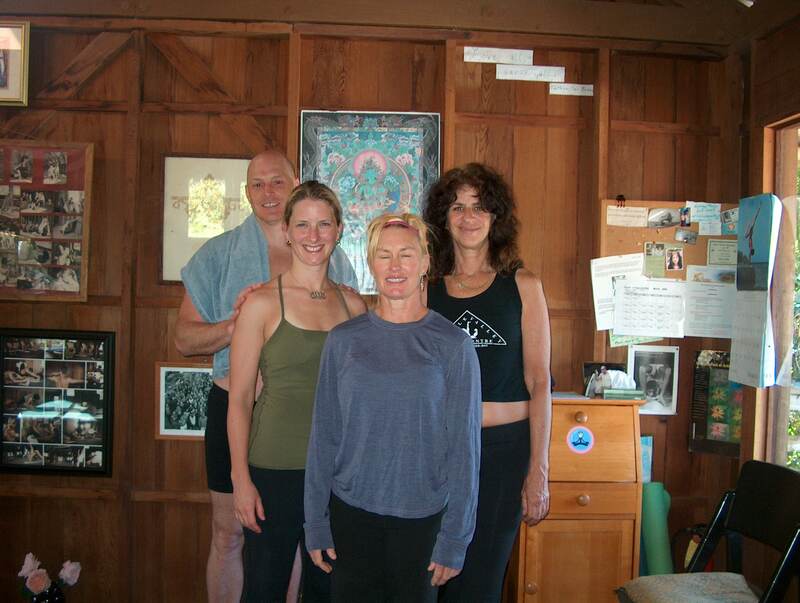 I mentioned the amazing set of circumstances to Nancy Gilgoff, our Ashtanga teacher, and she said, “Maui is like that.” We continued to have more experiences like this during the trip. Like John Friend said to us in Seattle- there is no random. 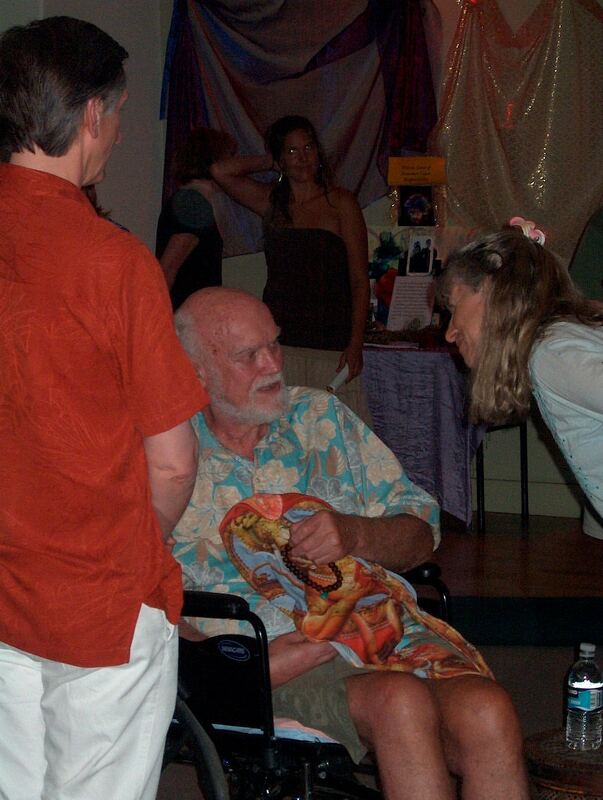 For those of you curious to know what Ram Dass said that I was so eager to remember you will have to email me! So much for condensed….